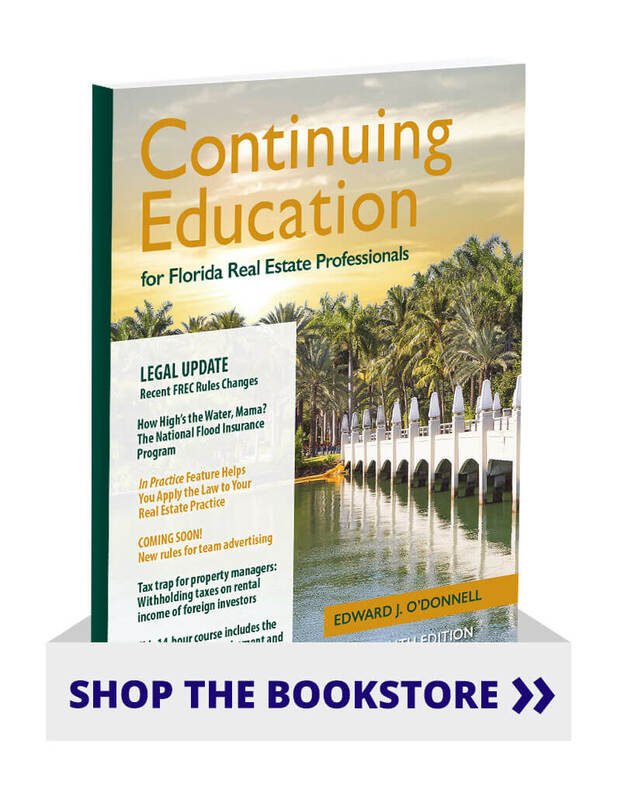 This updated edition has the most recent changes to Florida law and FREC rule changes and includes the ethics content required for renewals since April 1, 2018. This text is a popular, interactive approach to the 14-hour CE course, offering timely and critical information to licensees in short, lively units, with interspersed practice questions. This turn-key course comes complete with FREC pre-approved exams, creating less work for schools. The quick presentation of material makes this CE course interesting and fun for both instructors and students. Instructor Resources include five final exams.